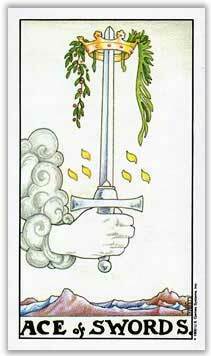 Relationship readings can be pretty straight forward when you are pulling all Cups cards and Major Arcana like The Lovers or The Devil, but what happens when you pull a spread full of Swords or Pentacles? Are you doomed to unending conflict? Does you relationship revolve around money? Maybe, but not necessarily. So how then do these non-relationship suits apply to relationship readings? 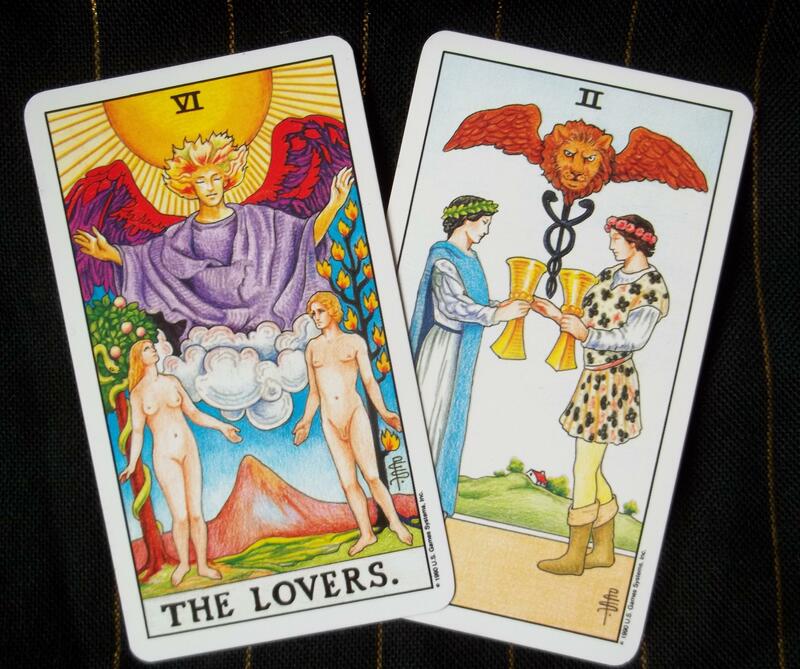 I’ve broken down the four suits with keywords that apply best to relationships and a little discussion about how those energies work within the context of a relationship reading. Along with Communication, Swords can represent one’s mental state or indicate conflict in general, however with communication being one of the most important parts of creating a functional relationship, it stands out as the most important attribute of the suit in this context. The positive side of this energy represents open communication and being open to communication, understanding, being heard, working through conflict. Its negative attributes manifest as defensiveness, dishonesty, arguing and communicating in hurtful ways. The fiery Wand energy is rooted in passion. 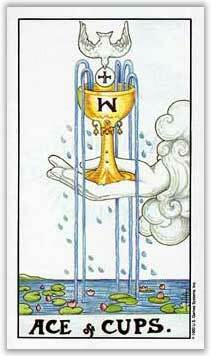 It can be an emotional energy like the Cups, but unlike the watery more passive and sentimental Cups, its aggressive and active and sexual. In a positive way it can show up as sexual chemistry, the spark of attraction, creativity and spontaneity, actively being involved in keeping things exciting and interesting. In its negative aspect this energy becomes anger, willfulness, stubbornness or can burn so hot that its exhausting or overwhelming. Cups is the suit most associated with relationships, so why talk about it when most people find cups fairly easy to read in relationship spreads? I think it’s worth noting and comparing the romantic energy of Cups with it’s focus on emotional connection, with the Wands passionate sexual energy. At its best Cups represents emotional compatibility, tenderness, contentment, emotional fulfillment. Its darker side includes inconsistency of feelings, emotional turmoil and unhealthy attachment. 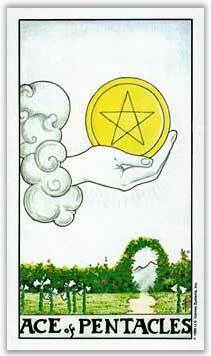 Pentacles has become so strongly associated with money and career that it’s often overlooked as the suit of physical experience. Of course money can and does impact relationships, but it’s worth looking at the suit’s other applications. As a reflection of the everyday experience in a relationship I associate Pentacles most strongly with time, in a positive way a balance of time spent together and pursuing one’s own interests, or utilizing the time you have together in the best way possible, in a negative way the opposite can be indicated. It can also represent the logistics of a relationship, who takes on what roles or responsibilities. This is just a brief overview of the way I look at the suits in the context of relationships. I realized when writing this up that there was a lot to say on the subject and I would like to go into more detail by suit and card in future posts. In the meantime I hope you find this helpful and would love to hear what you think.